Human Limb Regeneration is all about regrowing lost limbs for amputees who have had such life-changing injuries. On this website, the latest scientific research and insights into organ and limb regeneration are discussed. At the moment when someone losses a limb there is no cure to restore what was lost. The only option is an artificial limb or advance prosthetics which does regain some function. Thus allowing the patient to continue with their lives with support and some ‘improved’ quality of life. Coming to terms with life-changing injuries such as limb loss is truly traumatic. Along with the cost of prosthetics and making adjustments in life. The truth is that the patient’s life is never the same again. According to the Amputee Coalition, there is approximately 185,000 people experience limb loss each year in the USA. Also, it has been estimated that there is a population of 2 million suffering from limb loss in America alone. The forecasted projection is that the number of people suffering amputation will double by the middle of the century. this is due to a number of situations such as injury from accidents, terrorism and diabetic related illnesses. The majority coming from diseases. Can Lost Limbs Be Regrown? However, it does not have to be like this. What if a lost limb could be regrown? What was once in the realms of science fiction exclusively, is now taking shape in the scientist’s laboratory around the world. One day prosthetics and human limb loss will be a thing of the past. The Holy Grail as a solution is Limb Regeneration, where the injured lost appendage is given a novel treatment that changes the default mechanism inside the body to stimulate regeneration. Other options and approaches are 3D Printing technologies to rebuild the limb or organ and then attached to the patient based on their own stem cells. 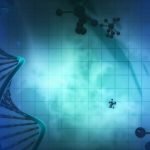 Researchers in the field of regeneration are engaged in studying heavily with new advances and discoveries being made in the field of stem cell research and regenerative medicine. 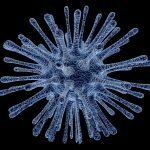 Human Regeneration is still in its infancy and is like the stage where computers were in the 1980s when the Micro Computer started to make its way into people’s homes. Remember the good old days of the Commodore 64 and the BBC Micro? At the time no-one knew where it was heading but experts were aware it was going to be really big. Today we have the internet and computers which are fundamental to our lives in almost every aspect. It has transformed society for the better and the same kind of revolution will happen with Regenerative Medicine. The Million Dollar Question… When? So yes, axolotl-like human limb regeneration is definitely possible and it is just a question of when rather than if it will happen. Around 2010 leading pioneers in this field considered it would happen but not in our lifetimes. However, now it is starting to be considered a different story with some researchers in regeneration feel it will happen within our lifetimes. It was once contended that the regrowing a new heart would be 50 years away but now it may be as little as 10 years. If you can regenerate a new organ as complex as the human heart then you are well on your way to regenerate a new limb, according to some scientists. I have documented a variety of topics on the on-going research into limb regeneration and plenty more insights and articles will be coming forward. To get started in reading through research I recommend you look at the Blog Page where we list all the articles currently available. Also in the following link, I reveal more insights of why I created this website. If you have questions, I have put together some common questions that get asked frequently. To help you browse through this site effectively, I have put together a navigation SiteMap, revealing important information for new visitors. 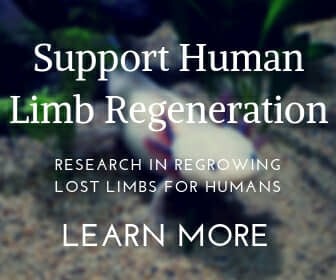 To keep up to date with the latest research and new updates on the website, I have created a newsletter called Limb Regrow which you can subscribe to in the form below. 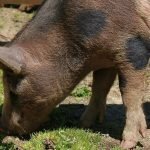 If you enjoy the content and research on this website with my intention to bring awareness of limb regeneration and help support what scientists are doing. You can donate to this website as a great way to support limb regeneration. This allows the author to maintain the operation of this blog and continue to provide free content to the public. Another great way to support this website and Limb Regeneration research is by doing your online shopping on Amazon. Whenever you decided to do your shopping online on Amazon, navigate through the links on this website that take you Amazon and the author gets compensated at no extra cost to you. All funds received go into research for publishing new content and maintenance costs of this website. This is a simple, powerful and creative way to support this website. Be the first to receive new blog posts, along with weekly research and to stay in touch with what is going on. Be the first to receive new blog posts, along with weekly updates and to stay in touch. 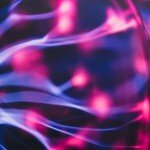 How Can Humans Regenerate Body Parts With Bioelectricity?